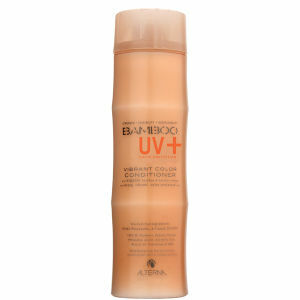 Founded in 1997, Alterna are a beloved professional-grade haircare brand. Boasting high-quality formulas free from typical ‘nasties’ and harsh chemical ingredients, Alterna products take a natural approach to haircare. Perhaps the most popular product range is the Alterna Caviar line, which is aimed at those with ageing or mature hair. An unheard-of concept until formulated by this revolutionary brand, the Caviar range tackles breakage, colour fading, moisture loss and more. Give the Alterna Caviar Anti-Ageing Replenishing Moisture Shampoo and Conditioner a go to reinstill hydration back into the hair. If you’re experiencing a lack of volume, we can’t go past the Alterna Caviar Miracle Multiplying Volume Hair Mist. Products from the Bamboo range, such as the Alterna Bamboo Abundant Volume Conditioner, will benefit limp and lacklustre hair, whereas blondes will enjoy the Brightening range. Discover Alterna haircare today with lookfantastic and claim free Australian shipping over $50 + Afterpay now available.